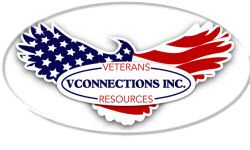 What You Should Know About Living with PTSD – VConnections, Inc.
Are you aware of Post Traumatic Stress Disorder (PTSD)? Is it affecting someone in your family who you are close to and you’re not sure how to handle the situation? PTSD is ongoing, so it’s good to be informed, recognize the symptoms and other problems that may arise, and the recommended treatments. The information below can help steer you in the right direction. Most people commonly have some stress-related reactions after a traumatic event; but, not everyone gets PTSD. However, if your reactions don’t go away over time and you feel afraid or feel that you have no control over what’s happening around you and these feelings increase and become disruptive to your life, you may have PTSD. Long after the traumatic event has ended, people with PTSD continue to have intense, disturbing thoughts and feelings related to their experience. People with PTSD may suffer sadness, fear, or anger; and they may feel detached or alienated from other people. Symptoms usually start soon after a traumatic event, but the symptoms grow and are more apparent months or even years later. Intrusive symptoms (1 symptom needed) such as repeated, involuntary memories, distressing dreams, or flashbacks of the traumatic event. Flashbacks may be so vivid that individuals feel that they are reliving the traumatic experience or seeing it before their eyes. Avoidance of reminders (1 symptom needed) of the traumatic event may include avoidance of people, places, activities, objects, and situations that bring on distressing memories. Individuals may try to avoid remembering or thinking about the traumatic event. For example, they may resist talking about what happened or how they feel about it. Negative beliefs and feelings (2 symptoms needed) may include persistent and distorted beliefs about one’s self or others (e.g., “I am bad,” “No one can be trusted”). Individuals may feel fear, guilt, or shame. There may not be an interest in activities that were enjoyed previously and/or there is a feeling of detachment or estrangement from others. Arousal and reactivity symptoms (hyper-arousal) may include irritable behavior and angry outbursts, reckless or self-destructive behavior, exaggerated startle response, problems with concentration, or sleep problems, jittery, or always alert and on the lookout for danger. Or you may have trouble concentrating or sleeping. Because these problems are often related, in most cases, treatment for PTSD will also help these other problems. The coping skills learned in treatment can work for PTSD and these related problems. There are two main types of treatment: psychotherapy (counseling) and medication. Combined, these two treatments have shown greater success. Orignally posted on Family First Psychotherapy Services.